Terence Moore read English at Trinity College, Cambridge then later, in his thirties, read Linguistics at the University of California, Los Angeles where he gained a Ph.D. The focus of the Department at the time was on Noam Chomsky’s ideas of an innate universal grammar. He stayed on as an Assistant Professor of Linguistics, finally moving back to England, first to the University of Essex, then to the Department of Linguistics, Cambridge. Co-author with Chris Carling of two books on language (‘Understanding Language: Towards a Post-Chomskyan Linguistics’ and The Limitations of Language both published by Macmillan) he is currently a Fellow of Clare College, Cambridge. These days when not writing poetry – a collection of his poems, ‘Voices in my Head’ was published by Black Apollo Press – he is exploring John Locke’s radical ideas on the nature, use and signification of language. What matters most to him is bringing out the relevance of Locke’s ideas to our use of language today. 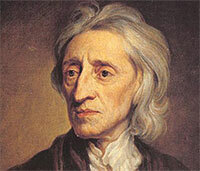 The life of John Locke, eminent philosopher, spanned the seventeenth century. Born at Wrington, Somerset on 29th August 1632 he died in his rooms at Oates, the Essex home of Sir Francis and Lady (Damaris) Masham, on 28 October 1704. What a century it was! Once described as ‘the century of genius’ it saw the foundation in 1663 of The Royal Society for improving Natural Knowledge, of which Locke was one of the earliest Fellows. Its motto, ‘Nullius in Verba’, roughly paraphrased, ‘Take nobody’s word for it’, encapsulated the direction natural philosophy (as what we call science was known) was going to travel. Out were appeals to authorities, in their place conjecture, observation, experiment; these were to be the guidelines for gaining natural knowledge. In addition to Locke, its first Fellows included Isaac Newton, Robert Boyle and Christopher Wren. The century also saw the emergence of influential women. One such was Damaris Masham, nee Cudworth, moralist, early feminist, close friend of Locke, correspondent of Leibniz. On the dark side it was also a century of political and religious turbulence in which Locke was closely involved. Though his image of himself was as a quiet scholar devoted to the pursuit of truth, in fact, through an extraordinary twist of fate he found himself intimately engaged in the turbulence of the times. The consequences of that engagement were manifold. 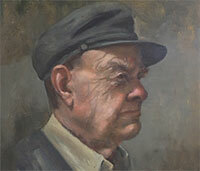 He was expelled from his Oxford College, Christ Church, on the King’s express command. The Government issued a warrant for his arrest on the grounds he was one of many ‘disaffected Englishmen’. In 1684 to avoid arrest Locke fled to Holland, seeking refuge in the home of a friend in Amsterdam. He adopted a pseudonym, Dr Van Der Linden, and did not return to England till the Glorious Revolution of 1688.